Foto de stock - Movie projector and blank cinema screen with empty seats. 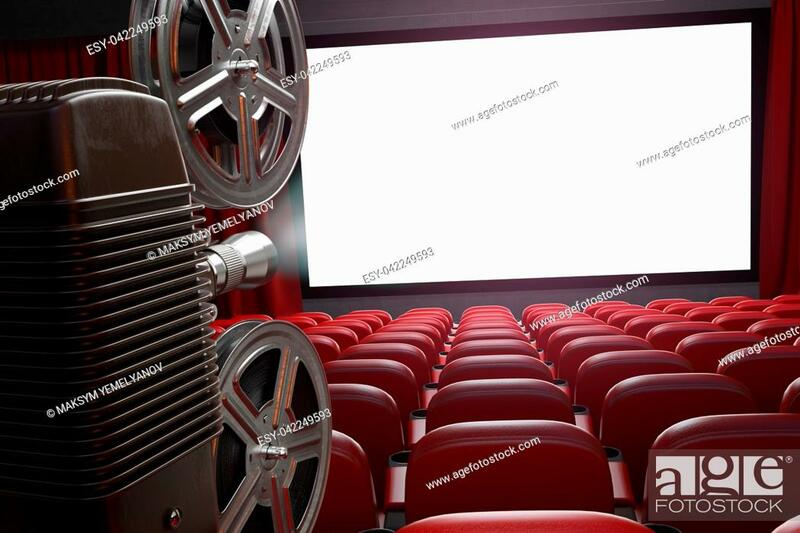 Cinema, movie or home video concept background. 3d illustration.